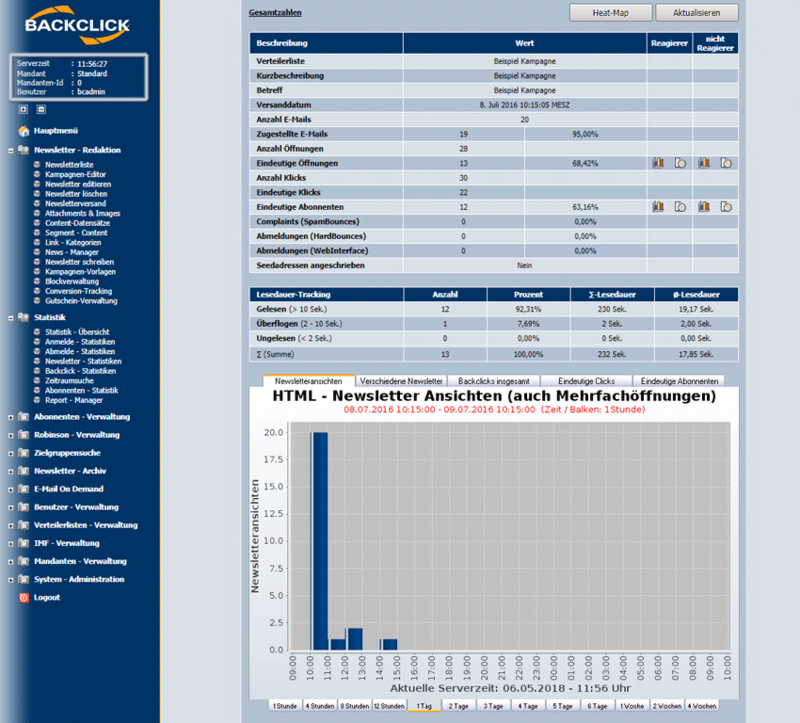 BACKCLICK is an email software provider with over 1,000 customers. The email marketing software is offered as cloud service (SaaS) with the main market DACH, as well as on-premise in over 20 countries for mid-size and enterprise customers. 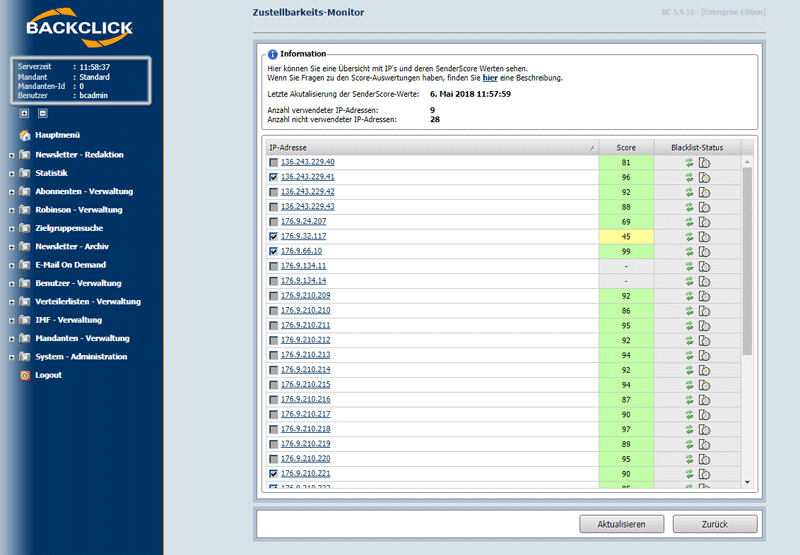 BACKCLICK is Return Path Partner and helps clients to onboard to their Whitelist. 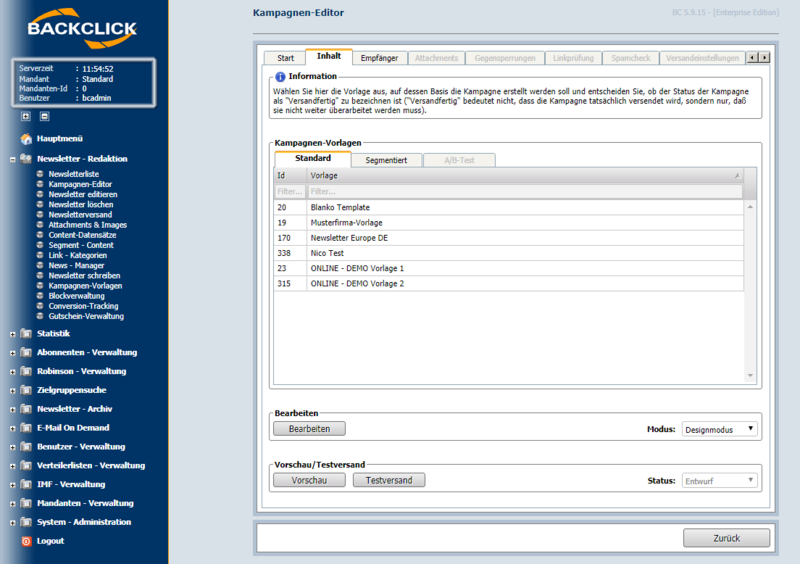 Since 2004 BACKCLICK is member of the CSA (Certified Senders Alliance). Backclick is a member of the Certified Senders Alliance. Are you looking for an Backclick alternative for your email marketing? We listed some Backclick alternatives. 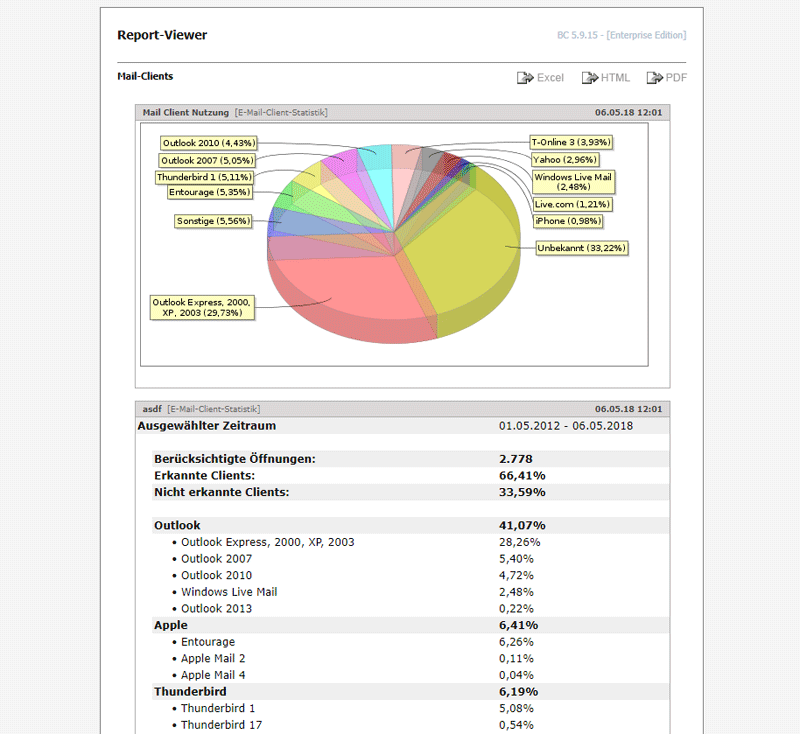 The email marketing software BACKCLICK is offered as cloud service (SaaS) for Brands and Agencies. For special Customers BACKCLICK offers exclusive and dedicated managed Hosting with dedicated IP´s , Whitelisting, Monitoring, Abusehandling & Deliverability Management. For mid-size and enterprise customers BACKCLICK provides a On Premise Solution to operate the whole E-Mail Marketing Solution in customers data center. 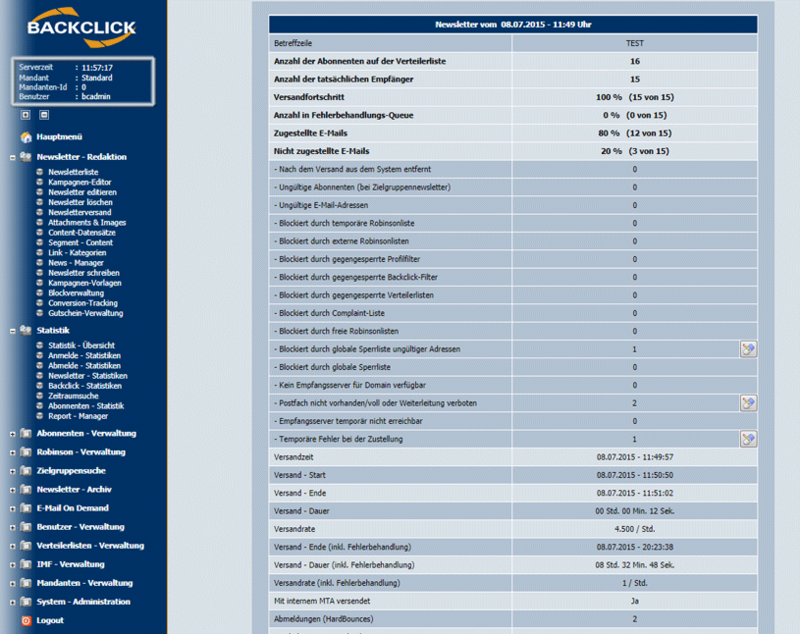 BACKCLICK was founded in 2001 by Matthias Gottschalk a former CTO of the Financial News Portal Gatrixx / Finanztreff. The company was founded in Berlin and now located in Braunschweig, Germany.